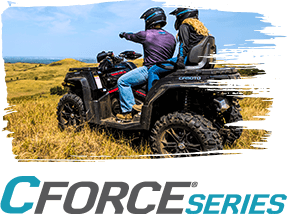 CFMOTO is not your average ATV manufacturer, just like your dealership is not your average ATV dealer. We don’t just build vehicles that are feature-rich, performance strong, and provide lasting value; we understand the importance of building lasting relationships with our dealers and our customers. At CFMOTO, we’re here to help you increase profitability, enhance customer retention, and keep inventory moving by providing comprehensive support in every stage of the sales cycle. Your success is our success, which is why we go above and beyond to help you achieve your goals. 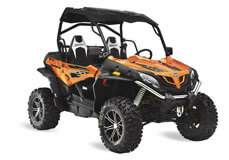 It’s not uncommon for CFMOTO sales to account for 45 - 75 percent of a dealer’s off-road powersports sales. “It’s positioned itself, for me, as my best seller,” said Steve Buttorff, owner of Buttorff’s Sales & Service in Hartleton, Pennslyvania. 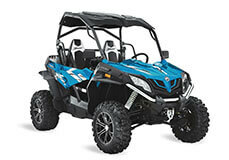 Customers can be confident in purchasing from CFMOTO dealers. The brand has launched a Dealer Experience Department with about $1 million in parts inventory in Minnesota and plans to launch an improved ordering system this year. We also allow dealers to order year round, requiring them to only carry what they want to stock. “The company itself, one, listens to what the dealers and consumers are asking for, and two, they stand behind their product,” said Blake Besser, general manager of Besser’s Bike Barn in Sauk Rapids, Minnesota. CFMOTO is continuing to grow across the country, but keep in mind, we do not believe in oversaturation of dealer networks. “They don’t pile dealers right on top of each other. 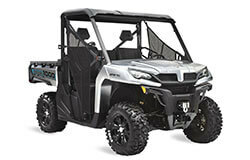 They try to give us 45-50 miles to work with in terms of dealer territory, which is nice,” said Blake Besser, general manager of Besser’s Bike Barn in Sauk Rapids, Minnesota. 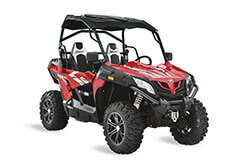 “Initial quality is as good as anything,” said Todd Myers, owner of Avalanche Motorsports in Washington, North Carolina. “Be confident in the quality.” CFMOTO’s vehicles are developed and built at the company’s 1.6 million-square-foot, state-of-the-art facility in Hangzhou, China. Many dealers are so impressed by the factory that they have a banner featuring a photo of it in their showrooms. 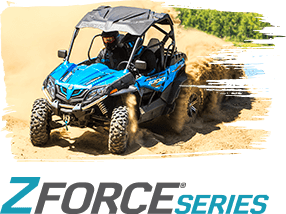 CFMOTO machines are engineered for power, all the way down to the roar of the engine. 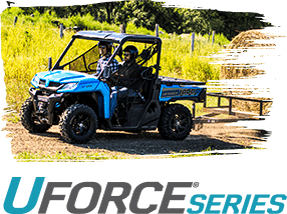 When CFMOTO ATVs and side-by-sides are pitted up against competitors’ vehicles, not only do they have more features for a less expensive price, but they also perform well in demo rides. “Test rides are really important. When they come back off of that ZFORCE 800, they say, ‘Wow, this thing runs,’” reported Steve Buttorff, owner of Buttorff’s Sales & Service in Hartleton, Pennsylvania. 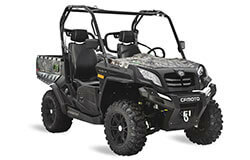 CFMOTO customers tend to return to their dealers for routine maintenance versus customers of other brands. Warranty coverage, ease of service, and location are all reasons why customers stay loyal to their dealers. 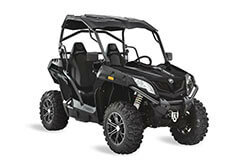 CFMOTO USA is backed by the 30+ year old CFMOTO Powersports, and its president Mr. Lai is committed to the U.S. market. Over the years, we have been able to increase our parts supply so dealers can get parts to their customers more quickly. “Our number one pitch is the background of CFMOTO. It’s not a fly-by-night, off-brand unit. It’s a worldwide brand,” said Jerry “Junior” Whitted, general manager of Town & Country Sports Center in Cement City, Michigan.